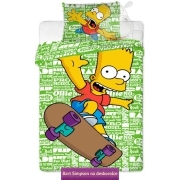 The Simpsons bedding with Bart and Homer the characters of the animated series for adolescents and adults extremely popular in the US. 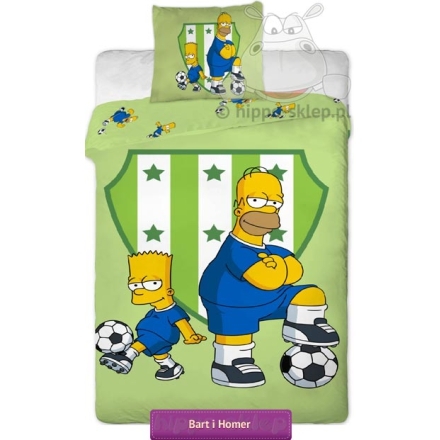 Bedding with Bart Simpson and his dad Homer training football. 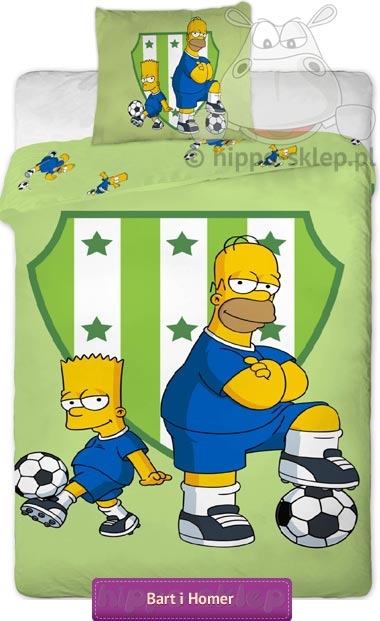 Children’s bedding from the Simpson collection in pistachio-green colors with Bart and Homer in blue sportswear, produced under license from the official collection of 20th Century FOX Film. 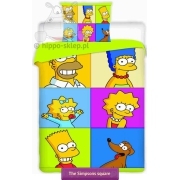 Bedding for children and teenagers with The Spimpsons characters with duvet size 140x200 or 135x200 cm depending on the chosen size and one pillow case 70x80 cm, zippered. 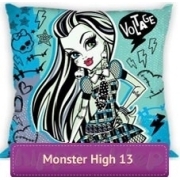 Bedding made of 100% cotton, certified according to the Oeko-tex standard 100. 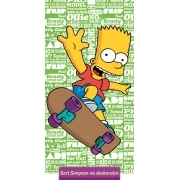 Great idea for a practical gift for the fans of the show, in a curved mirror of the lifestyle of the typical American family – the Simpsons. 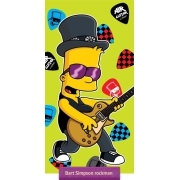 Producer Jerry Fabrics, Ean 8592753004524, model: Bart and Homer.